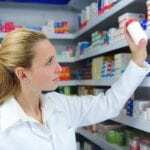 Pharmacy technicians have been supporting pharmacists in the delivery of medication and health care products for many decades. Since 2012, The Minnesota Board of Pharmacy has implemented new standards for registering pharmacy technicians in an effort to increase patient safety and improve care. By requiring technicians to be 18 years or older, possess a high school diploma, and complete pharmacy technician training, the Board sought to improve the competency requirements and standards of practice for technicians. Training and certification ensure technicians have the competencies to assume an expanded scope of practice to give pharmacists the freedom to focus on the clinical aspects of care. 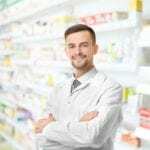 Although the role and responsibilities of pharmacy technicians vary widely, depending on the type of facility, they all must work closely with the pharmacist to achieve optimum outcomes for the patient. 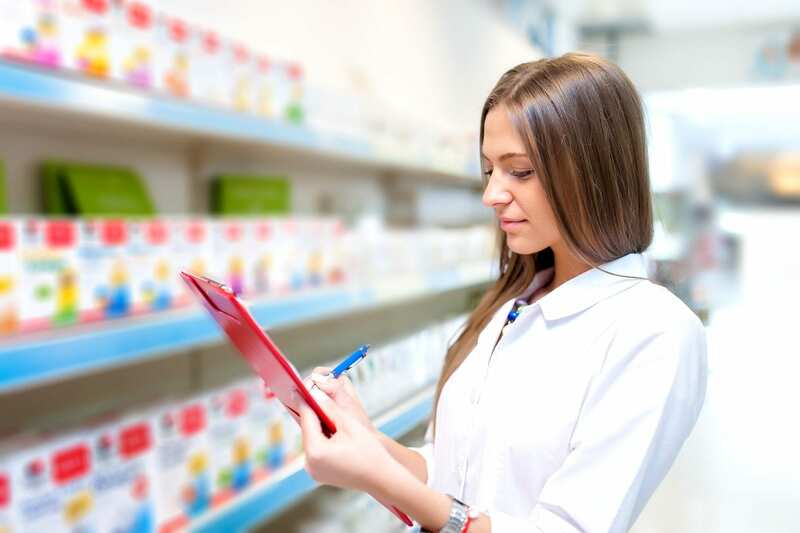 The pharmacy technician duty revolves around the technical aspects of the prescription, collecting patient information, preparing products for distribution, and inventory control. 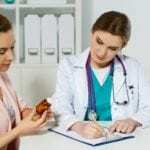 As a drug therapy expert, the pharmacist will manage the overall operation, provide counsel, and attend to the clinical aspect of patient care. Pharmacy technicians report to the pharmacist who must check orders before dispensing to patients. However, a technician holds some accountability in practice and must be conscious of public health and safety. In accordance with the State of Minnesota requirements, the pharmacy technician program at Normandale College includes a theory and a skills component. The curriculum covers 285 hours of online theory followed by 180 hours of pharmacy externship at a local Walgreens or CVS pharmacy. The program lets students work at their own pace for the online study. Continuous support is provided throughout the program. Instructors are available via email and phone or in person during the scheduled office hours. An active student forum also provides opportunities for collaboration and sharing with other students. Areas of study include pharmacology, pharmaceutical calculations, pharmacy law, regulations, standards and much more. Interest persons must attend a medical career information session. Tuition for the program is $1,995 including six textbooks and a drug reference handbook. The program is WIOA approved. Students enrolled in the pharmacy technician program at Rasmussen are on their way to become a major player in health care. The skills-based curriculum prepares students for practice in multiple pharmacy settings. There is an additional virtual practicum that lets students rehearse real-life scenarios to boost confidence in their abilities. Students learn how to prepare and handle medications, manage inventories, use pharmacy software and informatics, assist patients at the pharmacy counter, collaborate with other health care providers. Students must complete 38 credits of core courses including medical terminology, customer service in healthcare, career development, pharmacy calculations, medical law and ethics, pharmacy calculations, sterile and non-sterile compounding, foundations of pharmacy practice, and customer service in healthcare. The curriculum also requires completion of a pharmacy retail practicum, pharmacy technician capstone, introduction to communication, structure and function of the human body, and preparation for the certification exam. Applicants must have a high school diploma and pass a criminal background check. Tuition and expenses for full-time will cost $12,220. Hennepin Technical Center hosts a pharmacy technician program that is ASHP accredited. The program prepares students for an entry-level position where they would dispense medication under the direction of a registered pharmacist in various health care settings. Graduates will receive a pharmacy technician diploma. They also have the option to complete the general education and technical electives to obtain a pharmacy technician AAS. At the conclusion of the program, students will be able to perform the duties of a pharmacy technician is retail, hospital or industry settings, demonstrate an understanding of the policies that govern pharmacy technicians, apply the principles of science in practice, and communicate effectively with patients, coworkers, and health care providers. For the diploma program, students must complete 31 technical credits plus 7 general education requirements. Course modules include medical and pharmacy terminology, pharmaceutical calculations, pharmacy law and ethics, pharmacology, principles of pharmacy practice, pharmacotherapy and epidemiology of disease processes, chemistry for pharmacy technicians, human biology, and interpersonal communication. Tuition for the 38-credit diploma program is $6,531. Students must budget an additional $2,533 for books and supplies.